The Crimson won three sets on the weekend, but could not pull out a victory. 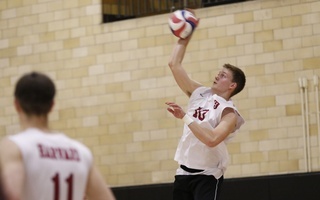 The Harvard men’s volleyball team hosted two competitive MIVA teams this past weekend at the Malkin Athletic Center, but will need to wait another weekend to earn its second win of the year. 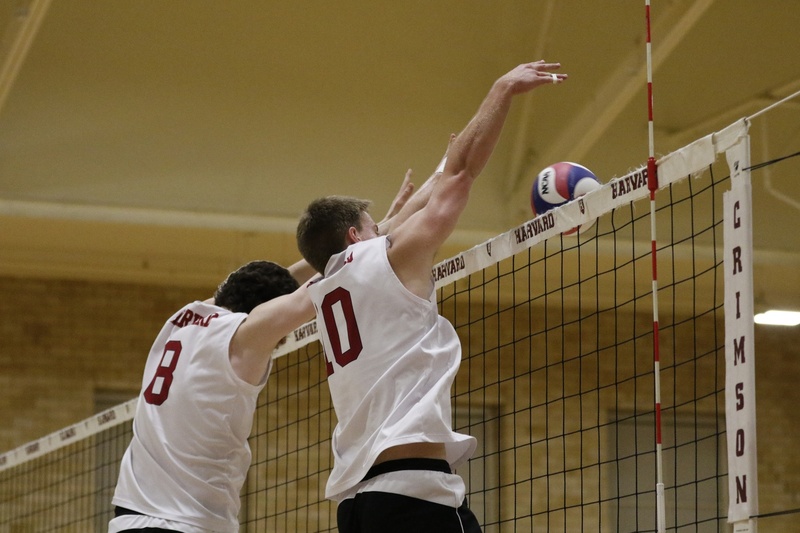 On Saturday night, Harvard (1-5, 1-0 EIVA) faced the Purdue Mastodons (5-4, 0-0 MIVA). The first set of the match showed both teams prowess as the set came to a deadlock near the end. A quick timeout before match point saw the Crimson take a point to bring the score 23-24 before they ultimately fell to Mastodons 23-25. Coming into the second set, both teams were once again at a stalemate until freshmen Eric Li’s kill early into the set allowed Harvard to go on an offensive tear. The Crimson maintained the 4 point lead throughout the rest of the set, ultimately closing the it out 25-21. 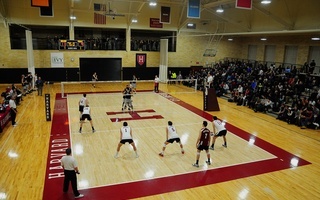 Harvard continued its pace into the third set until Purdue solidified its defense midway through the set. However, the Crimson continued to push through, equalizing the score at 22-22. Two quick points from the Mastodons forced a timeout before match-point eventually gave Purdue the set, 25-23. Down 1-2 in sets, Harvard’s defense staggered, allowing the Mastodons to widen a gap with a strong kill by No.5 Colton Stone. Purdue’s offense was too much to contain for the remainder of the set, resulting in a 16-25 set and a Crimson loss. Coming off of a convincing 3-1 win over conference rivals Sacred Heart, Harvard (1-4, 1-0 EIVA) looked to take on the No.11 Ball State (4-4, 1-0 MIVA) on Friday night. The Crimson came out with high intensity, able to match the Cardinals and pull out a 25-22 first set win. In the second set, Ball State came back with a resounding 25-19 effort over Harvard, equalizing the match at one apiece. An intense third and fourth set resulted in the Cardinals and the Crimson each taking a set, leaving the match at 2-2. Despite sophomore Griffin Schmit’s match high 20 kills throughout the match and Ctvrtlik’s 46 assists, The Crimson was unable to capitalize in the fifth set, resulting in Ball State’s 3-2 win over Harvard. In looking forward to in conference matches against Penn State and Saint Francis next week, Baise preached better set-up play. Ctvrtlik also emphasized team chemistry for the team’s future. —Staff writer Matthew Mu can be reached at matthew.mu@thecrimson.com. Buoyed by a strong doubles performance, the Crimson overcame its first loss of the season with a bounce back win on Sunday over No. 39 San Diego State. The Harvard women’s tennis team is still waiting on its first victory of the season after a nail-biting loss against cross-town rival Boston College. The Crimson returned to Cambridge licking its wounds but nevertheless knew it would emerge all the better for the effort it put forth in Illinois. Kicking off a five-game home stand, Harvard hoped to show visiting Fort Wayne and Ball State a few newly learned tricks it picked up from its Chicago-based adversaries.